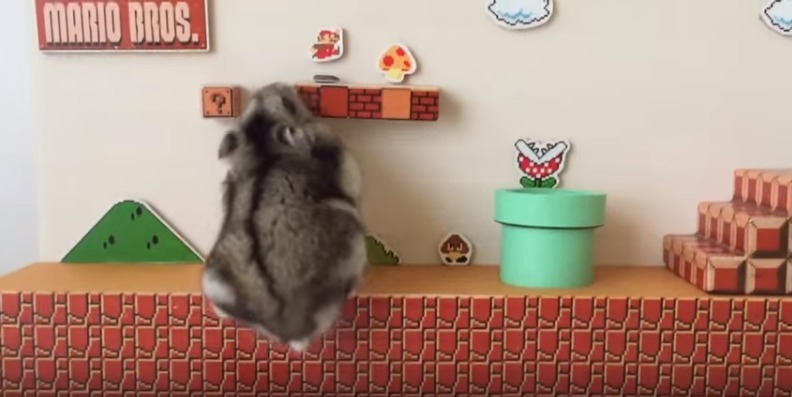 The real-life hamster-as-Mario game is set to the catchy game’s music and everything. 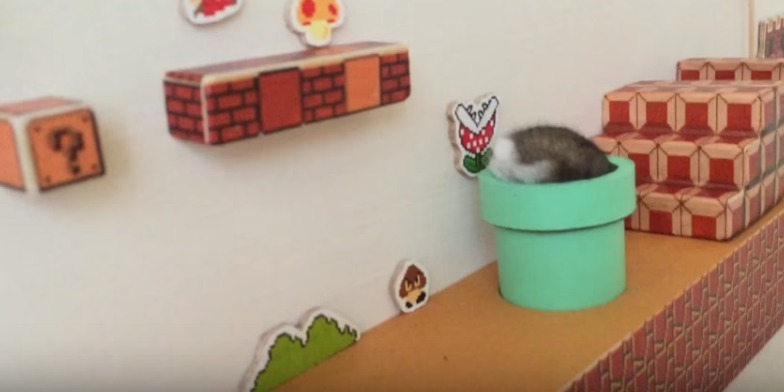 Here’s a quick summation of what the hamster, erm, Mario, had to go through. 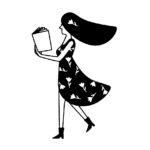 Then, like magic, she reemerges! Now what? Is there a Level 2? There may be soon, according to the most-amazing-mom-ever. Apparently, the Level 1 diorama was easy to make, yutako55 said. NBD, right?! She said she got the items from the 100-yen bargain store (think: dollar store). So, to prove how easy it is, she’s promised to make a Level 2 stage of the game, as well as show us a play-by-play of how it’s done. The video was also posted on Twitter. Of course, people loved it and the tweets began pouring out.Oh, and btw — the hamster also has her own Twitter page (! ),@yutako55, so you can keep up with what she’s doing aside from playing Super Mario Bros. Yes, please. And, after all that, she’s exhausted. And so are we, from trying to keep up with her. Brb while we catch a nap.